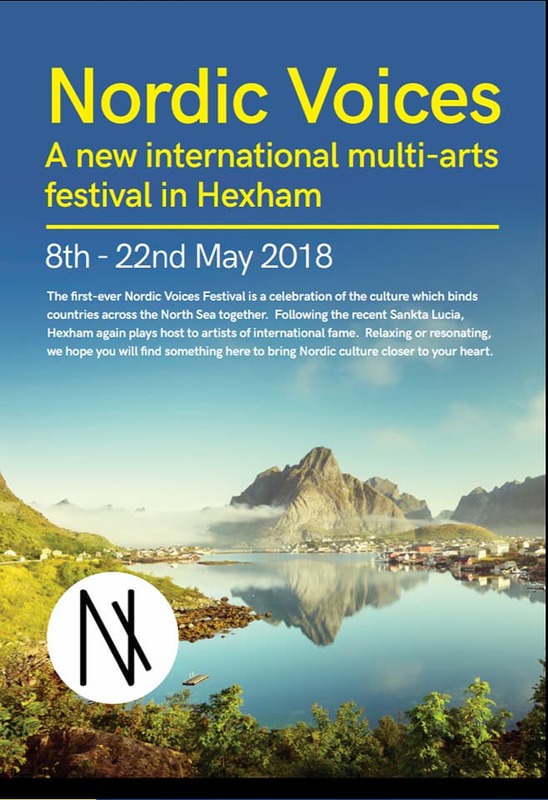 Nordic Voices Festival, taking place in Hexham between 8-20 May 2018, with artists from Scandinavia and NE England sharing their music and storytelling. Nordic Voices was born following a visit from the Copenhagen Bach Choir to NE England. From their concerts in 2016, we realised that there was a huge interest in Nordic culture amongst people who live in Northumberland and the North East. A plan to build up a 2018 festival stretching across the North Sea was born and unexpectedly and thrillingly, came the offer of a choir to lead the Lucia celebrations in December 2017. This amazing night saw Hexham Abbey thronged with people with different reasons for transforming this light into song. With an English group of singers and the fantastic children of Hexham First School, the dark night burst into brilliant light. Now you’re invited to our first Festival proper, taking place in Hexham between 8-20 May 2018, with artists from Scandinavia and NE England sharing their music and storytelling.